For today’s Sneak Peek, I thought that rather than give you just a close-up photo, the best clue for this distinctive character was to render them as a silhouette. Its kind of menacing, isn’t it? 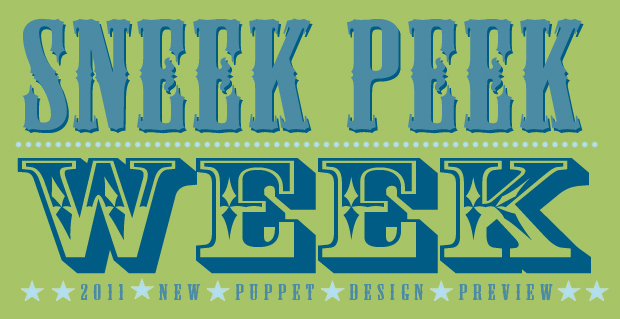 Similar to the Frida puppet from yesterday, I’ve offered Sneak Peek Number 5 in slightly different forms in the past, but decided it was about time time he officially join my puppet collection. And like Frida, he could be described as a bit of a badass, but in a totally different way from a proto-feminist self-portrait painter. 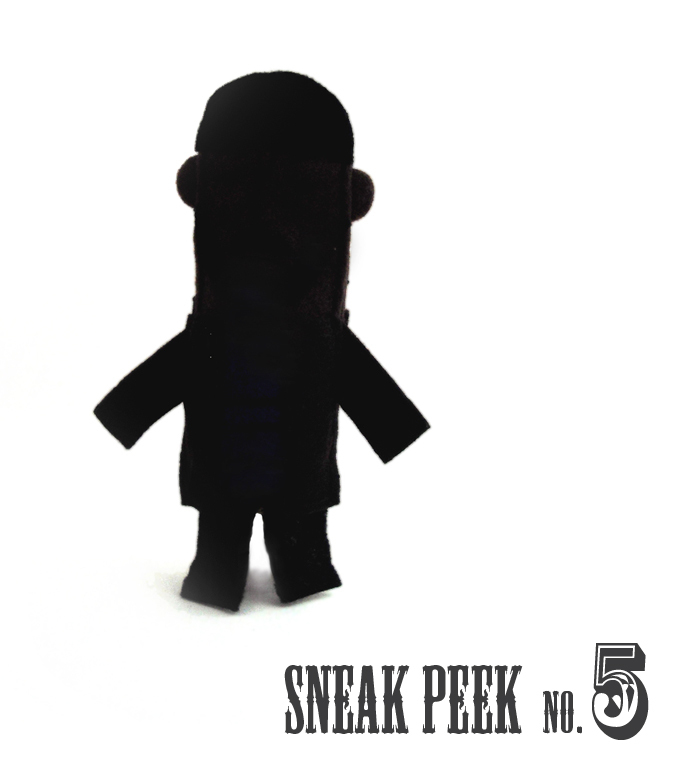 No, Sneak Peek Number 5 is more into illegal activity, and, sometimes, revenge– but only when necessary. He’s also been known to associate with certain members of the Nation of Islam. Okay, enough clues! I’m pretty sure with a silhouette and hints like that, you’re going to get it immediately, or be completely lost at this point. But either way, take a shot at identifying the puppet and, right or wrong, you’ll be entered to win another $10 gift certificate to my shop. Good luck!